Basketball great, Earl Monroe was on born on November 21, 1944, in Philadelphia, Pennsylvania. Earl Monroe's nicknames include "Earl The Pearl", "Black Magic", and "Black Jesus". Monroe was best known for his flamboyant dribbling, passing and play-making. From early age, Monroe was a playground legend. His high school teammates at John Bartram High School called him "Thomas Edison" because of the many moves he invented. Earl Monroe rose to prominence at the Division II level playing basketball at Winston-Salem State University, located in Winston-Salem, North Carolina. 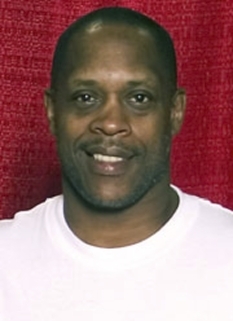 Under the coaching of Hall of Fame coach Clarence "Big House" Gaines, Monroe averaged 7.1 points his freshman year, 23.2 points as a sophomore, 29.8 points as a junior and 41.5 points his senior year. 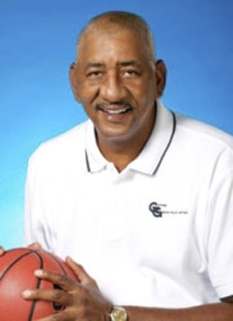 In 1967, he earned NCAA College Division Player of the Year honors and led the Rams to the NCAA College Division Championship. 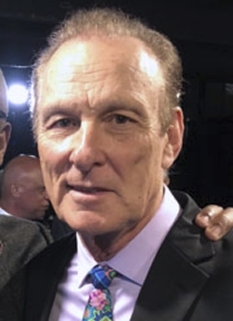 In 1967, the two-time All-American was drafted by the Baltimore Bullets (now the Washington Wizards) in the first round of the NBA draft (2nd overall pick). He won the NBA Rookie of the Year Award in a season in which he averaged 24.3 points per game, and scored 56 points in a game against the Los Angeles Lakers. This was the third-highest rookie total in NBA history at the time and also a franchise record (later broken by Gilbert Arenas on December 17, 2006). He formed a formidable combination with Wes Unseld and became a cult hero for his ability to run the fast break and for his circus-like shots. He said, "The thing is, I don't know what I'm going to do with the ball, and if I don't know, I'm quite sure the guy guarding me doesn't know either." On February 6, 1970, he set an NBA record with 13 points in one overtime in a double-overtime victory over the Detroit Pistons (since surpassed by Gilbert Arenas). On December 1, 2007 the Washington Wizards retired Monroe's number 10 jersey. 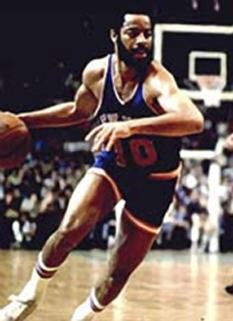 In 1971, Earl Monroe was traded to the New York Knicks and formed a celebrity backcourt with equally flamboyant Walt Frazier. The duo meshed to form one of the most effective guard combinations of all time, featuring two Hall of Famers and NBA 50th Anniversary Team members. With Monroe, the Knicks won the 1973 NBA championship. A four-time NBA All-Star, Monroe retired after the 1980 season due to serious knee injuries, which had plagued him throughout his career. He had played 926 NBA career games, scored 17,454 total points (18.8 ppg) and dished out 3,594 assists. Monroe, who, along with Pete Maravich, was among the first to transform the NBA game into an exhilarating art form, had his number 15 jersey retired by the Knicks on March 1, 1986. Even Monroe admits that his flowing, fluid, silky-smooth on-court style of play was unique. He has said: "You know, I watch the games and even now I never see anyone who reminds me of me, the way I played." 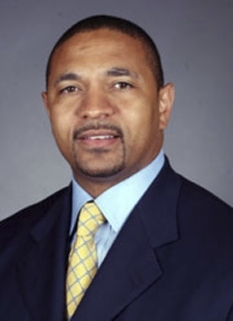 In recent years, he has been serving as a commentator for Madison Square Garden and as commissioner of the New Jersey Urban Development Corporation. Monroe has also been active in various community affairs and programs, including the President's Council on Physical Fitness and Health, the Crown Heights Youth Collective, the Literary Assistance Fund and the Harlem Junior Tennis Program. 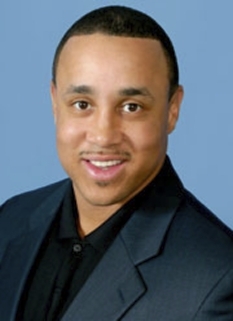 He has received many honors for these "off-the-court" community activities, including the Harlem Professionals Inspirational Award, Most Outstanding Model for American Youth, the YMCA Citizenship Award and Big Apple Sportsman of the Year Award. 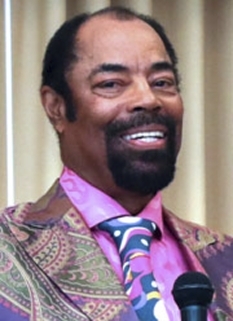 He also served as a spokesman for the American Heart Association, along with his former Knicks teammate Walt "Clyde" Frazier. In October 2005, Monroe opened a restaurant in New York City, named "Earl Monroe's Restaurant & Pearl Club". However, Monroe has since revoked the licensing rights to his name and the restaurant is now called The River Room. DISCLAIMER: PFP Sports Talent Agency does not claim to represent itself as the exclusive agent for Earl Monroe. PFP Sports Talent Agency is a booking agency that represents organizations seeking to hire pro athletes and sports personalities such as Earl Monroe for speaking engagements, personal appearances, product endorsements and corporate entertainment. Fees on this website are estimates and are intended only as a guideline. Exact fees are determined by a number of factors, including the location of event, the talent’s schedule, requested duties and supply and demand. PFP Sports Talent Agency makes no guarantees to the accuracy of information found on this website and does not warrant that any information or representations contained on this website will be accurate or free from errors. We are often asked how can I find out who is Earl Monroe's agent? 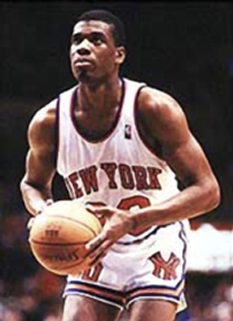 To find Earl Monroe appearance fees and booking agent details, you can contact the agent, representative or manager through PFP Sports Talent Agency for speaking fee costs and availability. PFP Sports Talent Agency can help your company choose the ideal sports personality for your next marketing campaign. To hire Earl Monroe for an appearance, speaking event or endorsement, contact Earl Monroe's booking agent for more information.